Today I’m joined by my two facilitators for The Dad Edge Summit live event, Jason MacKenzie and Jeff Bouwman. We recorded this episode live in The Dad Edge Mastermind community. The men online were not only able to listen but also interact with us on the podcast. There are five dimensions of manhood. They are health (mental, physical, emotional, spiritual), work, our relationship with our spouse, our relationship with our children, and finances. In this live Q&A, we go through how we ... See More approached each dimension of manhood in last year’s Dad Edge Summit and how we will approach them in this year’s summit using techniques like appreciative inquiry, group exercises, and visualization. At most personal development events, we are part of an audience. We sit and listen to speakers, but The Dad Edge Summit is different. It’s active, not passive. The intimate setting allows for deep self-exploration and fosters breakthroughs that change the lives of the participants. 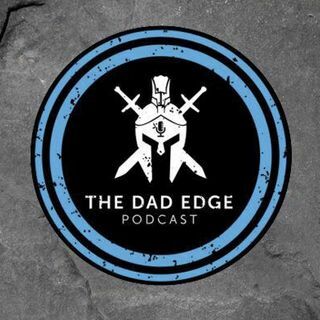 Listen to why The Dad Edge Summit is the ultimate personal development event for dads! For the show notes and exclusive links mentioned in this episode go to gooddadproject.com/202. ———— Join the Free Dad Edge Facebook Group at gooddadproject.com/group. Apply for The Dad Edge Alliance at gooddadproject.com/alliance.